This year the College of Professional Studies (CPS) celebrates its 10th anniversary. Created to offer unique programs that weren't available throughout the university's more traditional colleges and schools, CPS also addresses the needs of working professionals and adult learners in Washington, D.C., throughout Virginia and online. CPS has awarded more than 1,300 certificates and degrees since 2004, and in fall 2010, enrollment for the first time exceeded 1,000 students. 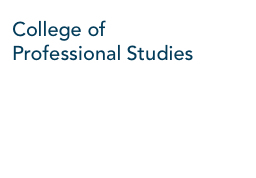 Established in 2001 by The George Washington University Board of Trustees, The College of Professional Studies (CPS) was created to offer unique programs not available throughout the University's more traditional colleges and schools. After the sixth week of classes in the Fall 2010 semester, The College of Professional Studies student enrollment stands at 1036, which is 160 more students than were enrolled at the same time last year. This marks the first time in its ten–year history that CPS has exceeded an enrollment of 1000 students. In 2011, CPS will celebrate the ten–year anniversary of its establishment at GW and will introduce a number of new graduate programs including Sustainable Urban Planning, Multi–Sector Leadership, and Journal Publishing. With the initiation of these programs and with future programs, CPS hopes to continue its commitment to creating academic programs that address the learning needs of the region's and the nation's professionals. WASHINGTON – The College of Professional Studies (CPS) at The George Washington University welcomes Dr. Sara Hooshangi as academic program director for the Bachelor's Degree Completion Program in Integrated Information, Science and Technology that begins Aug. 30. WASHINGTON – The George Washington University’s College of Professional Studies (CPS) in partnership with the Center for Excellence in Public Leadership at GW, will expand its master of professional studies (MPS) degree in Security and Safety Leadership (SSL) in the fall of 2010 to Hampton Roads, Va., one of the largest military markets in the U.S., and home to the world’s largest Naval base in Norfolk, Va.
WASHINGTON – The George Washington University’s College of Professional Studies (CPS) has announced the selection of Jeff Aron as executive director for development to lead fundraising initiatives for the College. WASHINGTON – The George Washington University’s College of Professional Studies (CPS) will launch its Bachelor’s Degree Completion Program (BDC) in the fall of 2010 for working professionals and adult learners who want to work in the fields of biotechnology or information systems and technology. CPS developed the program in response to economic demands for expanding workforce development in these evolving industries, and the number of adults who seek to work in the growing fields of science and information technology (IT) but do not have the necessary educational training. Richard D. Lieberman, GW Law School professorial lecturer; Jason D. Morgan, professorial lecturer in paralegal studies; and Philip Greene, graduate of the GW paralegal studies master’s degree program, have written a new section for the 19th edition of The Bluebook: A Uniform System of Citation. The GW team contributed a never–before–written portion on how to cite legal documents and actions that affect government contracts. George Washington University President Steven Knapp has announced the selection of Kathleen M. Burke as dean of GW’s College of Professional Studies. Dr. Burke will assume her post on Oct. 20, 2008. GW's program is the first to offer a comprehensive online graduate certificate in healthcare compliance. Presented at the Society of Corporate Compliance and Ethics' Annual International Compliance Awards Banquet in Chicago, the award recognizes leaders in the compliance field who exemplify professional integrity and strengthen the profession. The George Washington University College of Professional Studies recently graduated its first class of police science degree students. Edward L. Coates, B.P.S. '07; Stephanie L. Heyward, B.P.S. '07; and Yusuf M. Norris, B.P.S. '07, graduated from GW on May 20, 2007. All three individuals are police officers in the D.C. Metro region. GW's paralegal studies program was recently granted the right to maintain a Chapter of Lambda Epsilon Chi (LEX). Lambda Epsilon Chi is a paralegal national honor society founded by the American Association for Paralegal Education. CPS co–sponsored and hosted the annual Newton Math Competition at GW this year on March 15th. Over one hundred students from regional high schools attended and competed in individual or group categories. The opening remarks were provided by Don Lehman, Executive Vice President for Academic Affairs and George Gamow Professor of Physics. Dr. Paul Werbos from the NSF presented the luncheon lecture on 'Mathematics and the brain'." Innovative new Master's and Graduate Certificate programs in Paralegal Studies will launch in January 2007. These new programs will be the only credit–bearing, post–baccalaureate paralegal program in Washington, D.C. The Healthcare Compliance Certification Board (HCCB), which confers the premier accreditation within the healthcare compliance field, approved the accreditation of GW's Graduate Certificate in Healthcare Corporate Compliance. New integrated degree will prepare graduates for careers in bioscience and business. Unlike traditional graduate degrees in science fields, the M.P.S. program features a science curriculum that exposes the students to technology entrepreneurship and management of innovation.